The Fiat 500 of 1957 was Italy’s answer to the Volkswagen Beetle. Philosophically, the Nuova (new) 500 was the descendant of the 1936 Topolino (Little Mouse) but it was even smaller, with only a 72-inch wheelbase. The pre-war Topolino had a front-mounted four-cylinder engine of 570 cc and it was water-cooled, while the 1957 Nuova 500 boasted a rear-mounted, vertical two-cylinder, air-cooled engine. The Nuova 500’s engine displaced 479 cc, and developed 13 horsepower, and the car rode on independent suspension. The gearbox was un-synchronized and required skill and double-clutching to negotiate successfully. Initially with two seats, and a soft top which included a plastic back window that rolled down, the 500 was able to deliver 50 mpg with a top speed of 50 mph. Representing the smallest possible family vehicle, the little Fiat 500 joined the slightly larger water-cooled 600 and the Vespa and Lambretta scooters in putting many Italians back on the roads following World War II. Almost immediately, open beach car versions of both models with wicker seats – Fiat Jollys – were launched, and proved a huge hit. When the 500D model was introduced in 1960, it had gained a small back seat and the engine size was boosted to 499 cc. It developed 17 horsepower, but the little car still took 59 seconds to get to 50 mph. The back window was now fixed and the soft top only opened to top of the window. The little 500 got a station wagon variation in 1960, the Giardiniera. The wheelbase was extended by four inches and the engine laid on its side, under a trap door in the rear floor. The rear door was side-hinged and the sunroof was full-length. After 1968, these were built by Autobianchi and badged as such, and they were built until 1977, outlasting the sedan. The 1965 Fiat 500F gained forward-hinged doors a bigger windshield and plusher interior, but still rolled on tiny 12-inch tires. The 500L of 1968 was a luxury edition and cars from 1972 had a 594 cc engine. The Fiat 500 was always a huge seller in Europe, with nearly 3.5 million in 18 years, but they were not sold in the U.S. after 1961, since a 9-foot 9 inch-long, 1,070-pound car with a 50 mph top speed was too frightening to contemplate on American roads. Genuine U.S. imports are easy to recognize since they had seven-inch headlights grafted onto the nose, replacing the five-inch European lights. 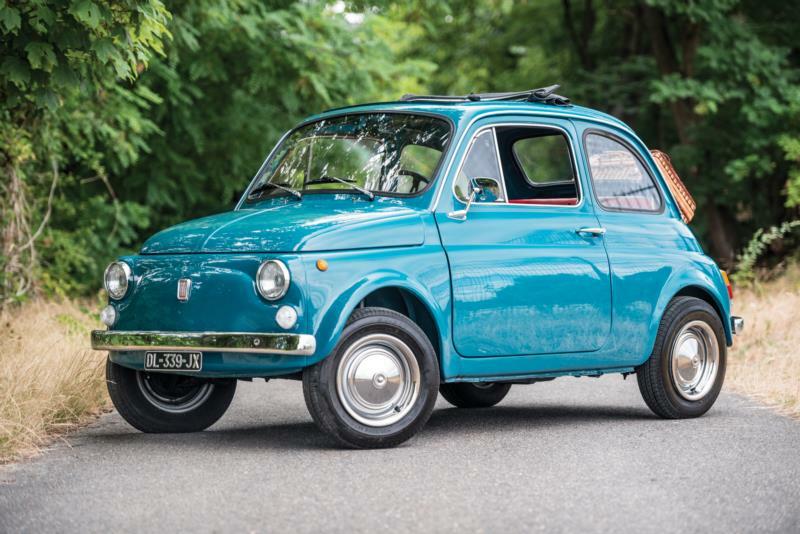 Fiat Jollys tend to be the most collectible variant of the 500 series, and they typically bring strong money, especially at auction. Giardinieras are generally the next most sought-after 500. Outside of accident damage, which is usually terminal, the Fiat 500’s big enemy is rust, with floors being particularly problematic. 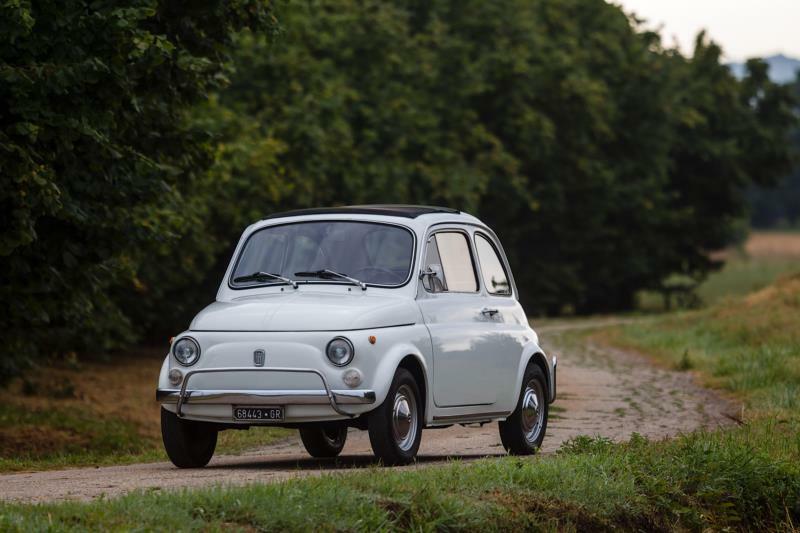 With so many Fiat 500s built, parts aren’t too difficult to find, however the youngest 500 you can buy is now 37 years old, and finding a good one could be a challenge.